A disorder characterized by a distorted body image, an extreme fear of getting fat, and a rejection of food, with a relentless pursuit of thinness. 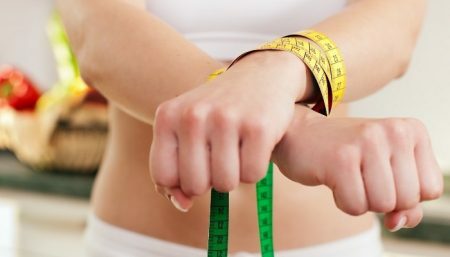 To reach an “ideal” weight, a female may follow increasingly restrictive diets, often accompanied by hours of aerobics, weight training, calisthenics, or running. Food becomes a major preoccupation. The woman fails to realize there’s a problem even as her body wastes away. Around 30 percent of anorectics have this problem for their whole lives, and almost that many have at least one life threatening bout. Many die prematurely, and at least 5-18 percent of those hospitalized with anorexia later die of starvation or suicide. The average age of onset for anorexia is 17, and it is rare in women over the age of 40. It can be triggered by a major stressful event, such as leaving for college, and progresses differently in different people. It may have a short course, from which the patient recovers. But anorexia is usually a chronic illness that comes and goes or worsens over many years. Ninety percent of anorexia sufferers are women. 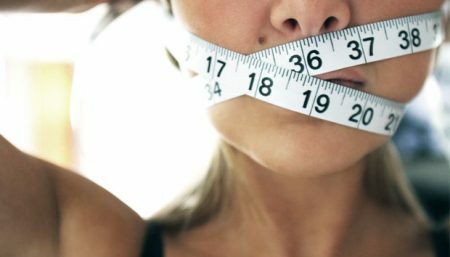 For every 200 women in the general population, one to six will be affected by anorexia. Five to 18 percent of these affected women will die from this disorder. It is the leading cause of death among people seeking psychiatric help. The symptoms of malnutrition that accompany anorexia include constipation, digestive discomfort, and bloating; dehydration, muscle cramps, and tremors; downy body hair on the face, back, or arms; flattened breasts; dull, brittle, thinning hair; cracked or dry skin; icy hands and feet; irregular heartbeat; and depression and anxiety. Treatment of anorexia must focus on more than weight gain. In fact, weight gain should be secondary to the more serious underlying issues facing the anorexic. For those women whose weight loss has become so severe or has seriously impaired other body systems, hospitalization may be necessary. Work with a specialist– Treatment of eating disorders with medication requires the guidance and monitoring of a psychiatrist or other health care professional who has specialized training in the treatment of eating disorders. Consume more calories– Increasing the patient’s weight by closely monitoring the patient’s fluid and food intake. Their weight are monitored daily, and caloric intake is gradually increased. For standard weight gain the diet will be of around 3000 calories per day. The weight gain will normally be controlled to between 1.0 and 1.5 kilos per week. In the first week or two the weight gain may exceed this because of physiological changes, mainly of fluid balance. 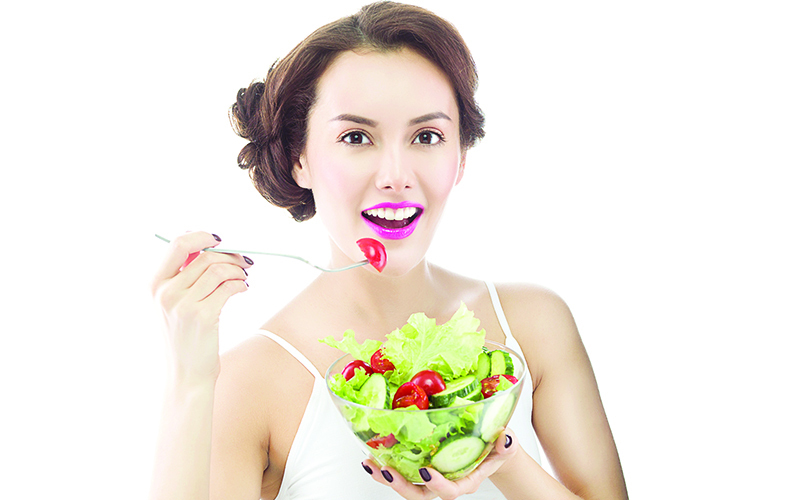 After this period any weight gain above 1.5 kilos per week will be controlled by a reduction in dietary intake. Identify and avoid food allergies – Skin prick testing or blood (RAST) allergy testing can help confirm or exclude potential triggers. These include carefully reading the labels of foods in supermarkets for terms indicating the presence of allergen. Eating away from home poses some risks. It is often wise to inform your host or restaurant chef about your allergy and the importance of avoiding contamination of your meal with allergen. Learn about celiac disease (problem with gluten sensitivity), which can worsen anorexia; have your AGA antibodies tested. If elevated, eliminate gluten foods – When people with celiac disease consume gluten, the absorptive villi in the small intestine are damaged, preventing the absorption of many important nutrients. The long-term effect of untreated celiac disease can be life threatening. However, with a completely gluten-free diet, the intestinal lining will heal completely allowing most patients to live a normal, healthy life as long as they remain free of gluten in their diet. Plain rice of all types (including wild rice), tapioca, potatoes, corn, and legumes are safe for a gluten-free diet. Most celiac patients can also tolerate soy products, except soy sauce which is usually fermented with wheat. Enjoy some mild exercise every day – Anorexic patients will not be allowed to exercise in the early part of their stay partly to facilitate weight gain and partly because it may be damaging while they are at low weight. Short walks accompanied by a nurse or close friend will be allowed fairly early on and supervised exercise to establish a normal pattern will be started later in treatment. Especially beneficial are modalities such as weight lifting, walking, and stationary cycling. These can be easily structured to start with lighter workloads and slowly progress to higher ones. This conditions the clients’ bone density and lean tissue to progress accordingly. Building and maintaining muscle and bone mass requires weight-bearing exercise. Individual requirements vary depending on age and level of fitness. Have regular massage therapy– Once a regular eating pattern is established and weight is beginning to return within a normal healthy range, the underlying feelings will begin to emerge. The sessions include using a range of specific techniques to explore and challenge automatic responses. Do anything that builds self-esteem– According to some experts, anorexia nervosa is caused by feelings of self-hatred and unworthiness. Not eating is supposed to be self-inflicted punishment. Purging is seen as relieving oneself of inner negative feelings. This type of logic is often associated with low self-esteem and feelings of guilt seen in victims of abuse. Building self esteem involves clearing out the junk-This means anything hurtful and unconstructive that you’ve been told by someone you care(d) about (or even some you didn’t) is to be taken with a grain of salt. Then begin with counting your blessings, which can include things people actually take for granted, such as food and shelter, access to a computer, etc. Also, surround yourself with positive people (think of volunteer or professional organizations that have something in common with your interests, for example). 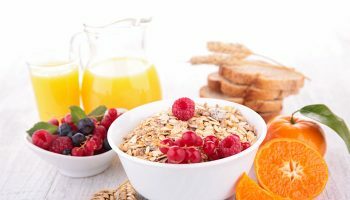 Eat breakfast– Eat nutritionally rich breakfast everyday. Nutritionists believe breakfast is the most important meal, providing needed energy throughout the day. Eat slowly and chew well. Have small meals. Have your doctor run amino acid screens. Persistent dieting can deplete tryptophan, which may encourage relapses. Diet: Regular eating patterns are necessary: either small frequent meals throughout the day or three meals daily, whichever is realistic and the individual will follow. Avoid: Refined sugar, white flour, heavy starches, and fruit juice or caffeinated beverages, as they disrupt normal body chemistry. Avoid allergic foods.